Welcome. I am Mark Matthews of Mark Matthews’ Home Inspections, Inc. I realize that a home or building purchase can be a huge decision. 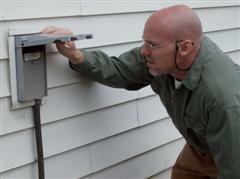 It is extremely important that a thorough home inspection be performed to protect your investment. 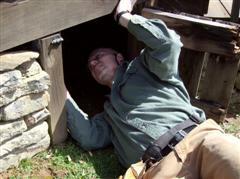 Home Inspectors are not all alike, even though we are supposed to practice under the same standards. Choosing an inspector that has your best interest in mind, is crucial. I am extremely thorough and represent my customer with the highest integrity. I will strive to empower you as a buyer, with the knowledge necessary in order to make a confident purchase. I will deliver a thorough report complete with digital pictures, along with easy to understand comments about the condition of the home. Please call us today to check our schedule, or click on my calendar/scheduler and book online. Licensed North Carolina Home Inspector. Licensed North Carolina General Contractor. Member of NCLHIA (North Carolina Licensed Home Inspector Association). Prompt, dependable and flexible scheduling for your convenience. My inspections meet and exceed industry standards. Feel free to ask for a copy of the NC Standards of Practice. I include color photos with each inspection in order to assist with illustrations and a reader friendly report. You will immediately have access to your report the following day, and in some cases the same day. If needed, Saturdays will be an option for scheduling an inspection. I use HomeGauge inspection software to generate a professional report with a password protected link for your viewing. At your request, I can send copies of your report any where in the world. Payment for an inspection is made easy by several payment options. Copyright © 2019 Mark Matthews Home Inspections, Inc.